Last week, I had a first look at the Hue “Personal Wireless Lighting” kit from Philips. 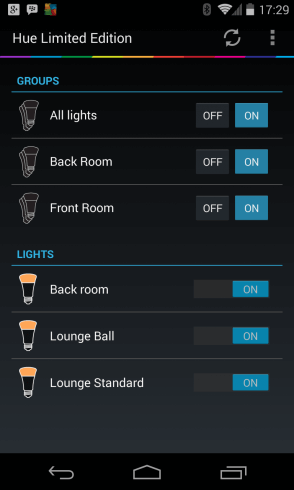 As I mentioned in the review, Philips has opened up the lighting system to developers via an API and this week, I’ll take a look at some of the apps available, both from 3rd party developers. As you’d expect, they run the gamut from “could do with more work” all the way through to “brilliant” but broadly fall into two categories, firstly those that are primarily concerned with setting the colour of the lights, and secondly those that do more interesting things. This review covers the apps that are currently available from Google Play and there are many similar apps available for iOS. Hue Limited Edition, Colorful, Light Control, Speedy Hue and LampShade are all variants on the “set the colour of the lights”. All offer grouping of lamps into sets and the saving of colour combinations into favourites or presets. Here are a few screenshots, showing the main screens from each. As you’ll see, they pretty much do the same thing in different ways. 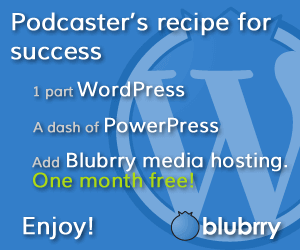 All worked as advertised, but I found that in this instance, less was often more. 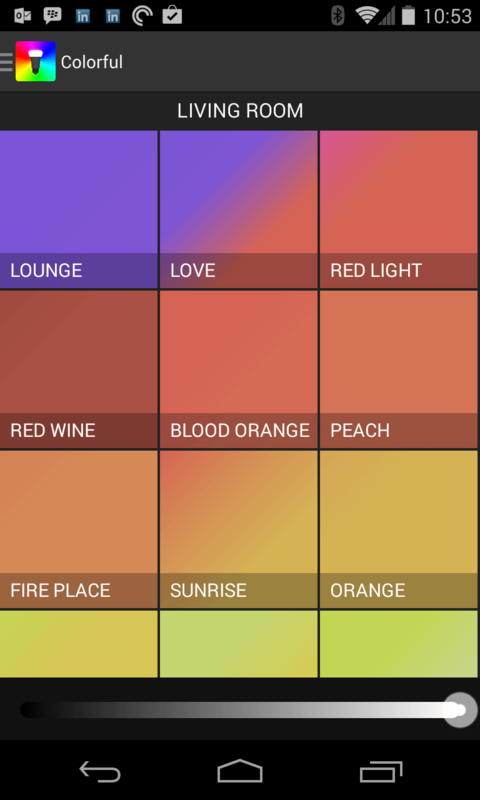 If I wanted to run an app with favourites or presets, I tended to use the Philips Hue app to set all the lights at once. However to quickly set the colour of a single light, I used Hue Limited Edition, rather than anything else. 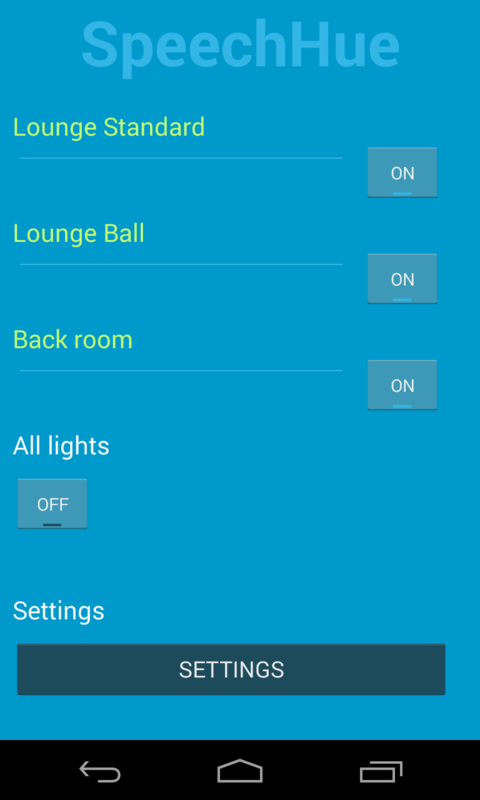 Light Control came a close second and Speedy Hue gets an honourable mention for the inclusion of a scheduler which will turn the lights on and off at specified times. 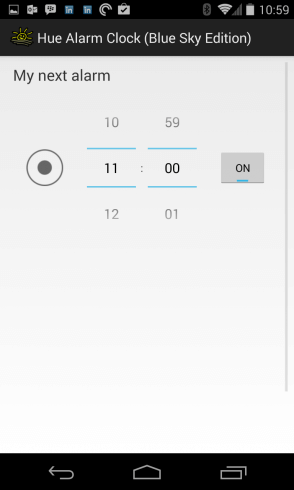 Speaking of alarms, Hue Alarm Clock takes waking up to the next level. 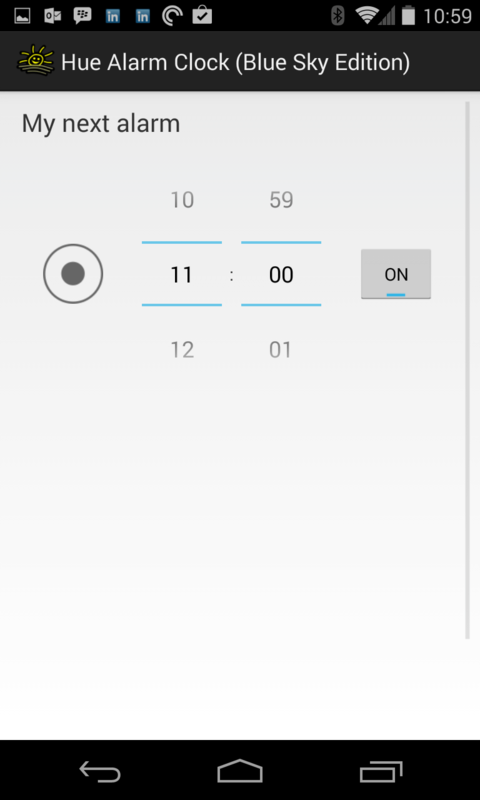 Instead of an incessant beeping, Alarm Clock gently fades in a colour of your choice to wake you from your slumber. The screenshot is from the limited free version, not the paid version which has more options. There are two apps which purport to support voice recognition, and like “Star Trek”, you too can walk into a room and say, “Lights!” and the illumination comes up. Hue Talk takes an almost canned approach to the voice recognition with the user able to predefine the voice commands for around 20 features, from turning all the lights on, turning the lights up and down, and changing the colour. 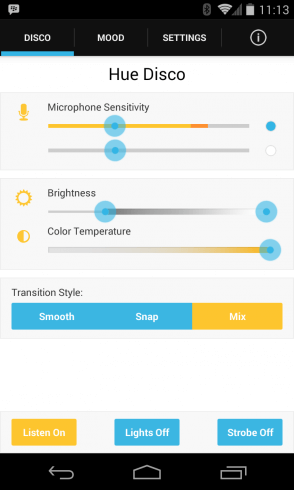 The suggested voice commands are memorable phrases, such as “Yellow Submarine” and “Purple Rain” turning the lights the respective colours. You can change the commands to whatever you prefer so there’s no real intelligence here but it works well. On the other hand, SpeechHue, looks like it supports natural language but I could never get the app to work in the way that I imagined it should work. Some of the comments in the Google Play store say that it’s good once you work it out. Sorry, if I need to work out how the app works, it’s failed. Zero stars. 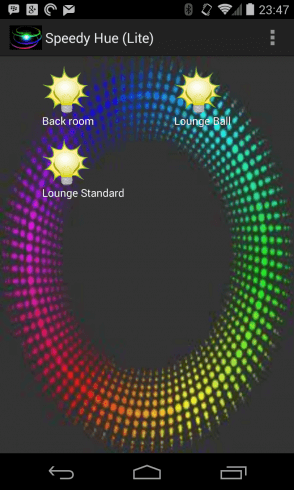 LampShade and Colorful (after paid upgrades) work with NFC to set the lights. 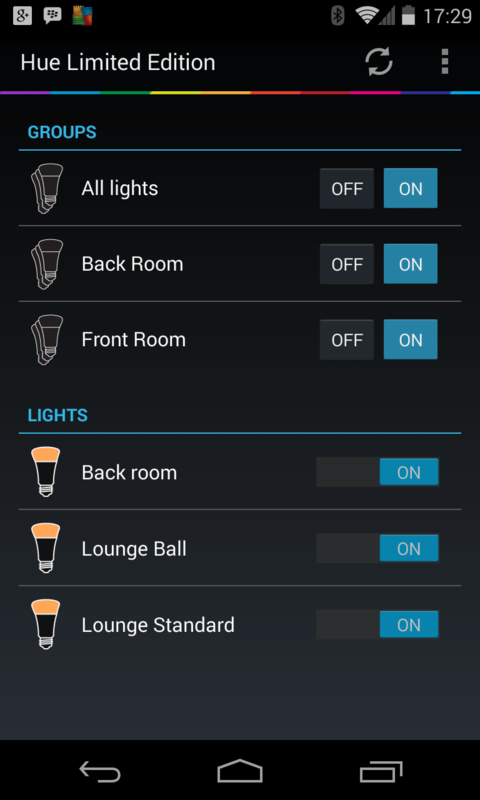 In theory, each room could have an NFC tag (or tags) such that when the tag is swiped by the smartphone, the app sets the lights just for that room or mood. It’s a neat idea but I wasn’t able to test the NFC features as I don’t have any NFC tags. I’ve ordered so I may report back later. I’ve been saving the best until last and we come to apps from IJS Design who make the best Hue apps on Android bar none. 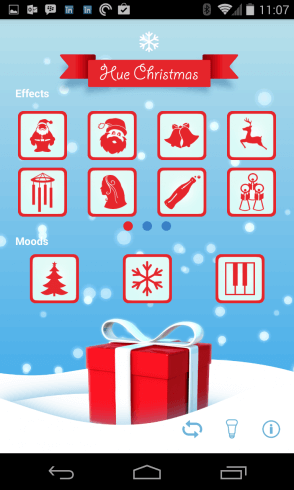 Currently, there are four IJS apps, of which three – Christmas, Halloween and Fireworks – link holidays into Hue. So for the Christmas app, which includes New Year too, you get sound effects linked into Hue colour changes and effects. Think of it as a soundboard with lights. 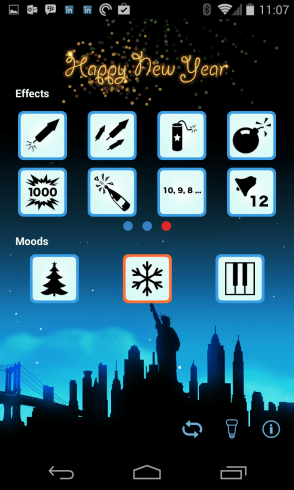 The apps also have moods which are longer music pieces with light effects and are more atmospheric, which are especially good when the sound is passed through a hifi. 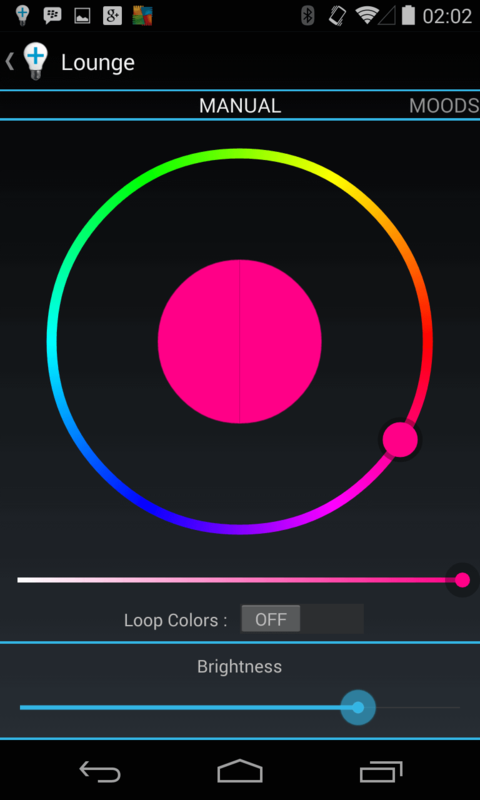 And finally, IJS Design’s Hue Disco is the single best Hue app on the market (IMHO). 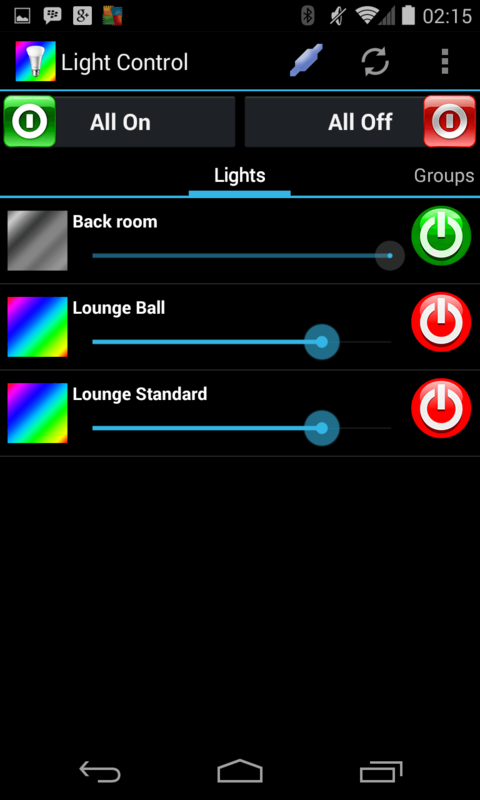 Simply, you play music on your hifi, place your smartphone or tablet nearby and Hue Disco changes the colour of the Hue lights in time to the track. 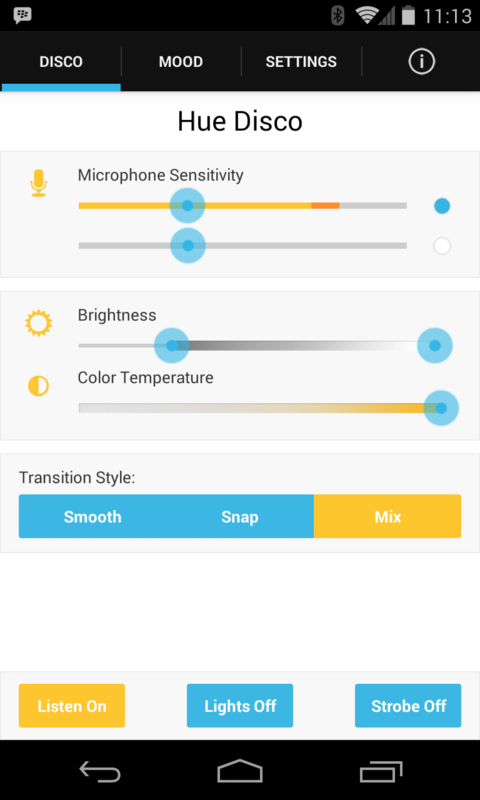 There’s loads of adjustment possible, including microphone sensitivity, transition speed, brightness, colour temperature and strobe effects. For something more subtle, there’s Mood Control which cycles the lights on themed colours, such as sunrise or Christmas. 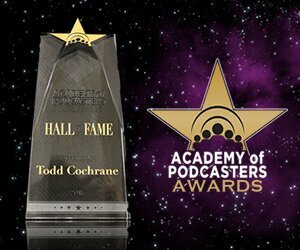 All-in-all, totally brilliant and money well spent. A screenshot can’t show what it’s like in action, so here’s a video showing Hue Disco in action. You really can have a disco in your front room and it’s fantastic when paired with a music service like Spotify. I’ve been playing Christmas tracks non-stop. 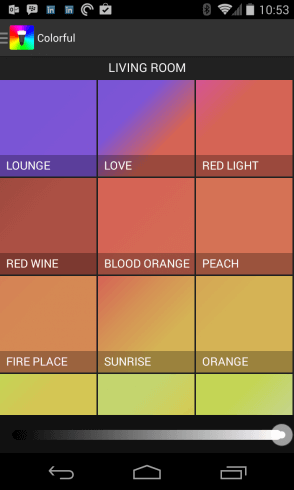 That summarises the state of the Android Hue app space which appears to be growing healthily and similar apps are available for Apple devices. 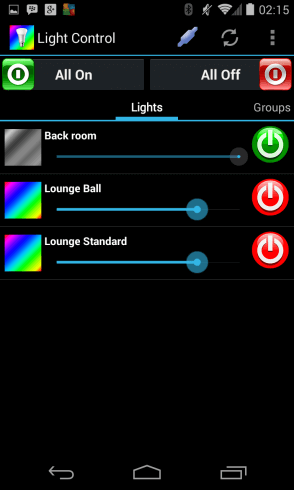 For me, the keeper apps are Hue Limited Edition and Hue Disco with Hue Talk close behind needing a bit of polishing. Have fun.